Figuring out how to pay off debt can be a serious challenge, especially if you have a low income. But it’s totally possible and with a lot of work, patience and dedication you can definitely get yourself out of debt. Take some time to actually sit down and evaluate your finances. This means figuring out exactly how much money you have coming in and going out each month. Trying to pay off debt, especially on a low income, is a challenge. It’s completely doable if you’re willing to work towards it, but before you start you need to be honest with yourself. The first step to being honest is to admit how much money you have coming in and out, and more importantly, if you have enough money coming in to cover the amount going out. If you’re bringing in less than you spend, you’re not living within your means. That means you’ll end up going into even more debt in the long run. Once you’ve gotten a handle on understanding your finances, it’s time to make a plan. When it comes to your personal finances, that plan is called a budget. Yes, you do need a budget. No, it’s not hard to make! And yes, if you want to pay off debt, you’re going to have to stick within in your budget. 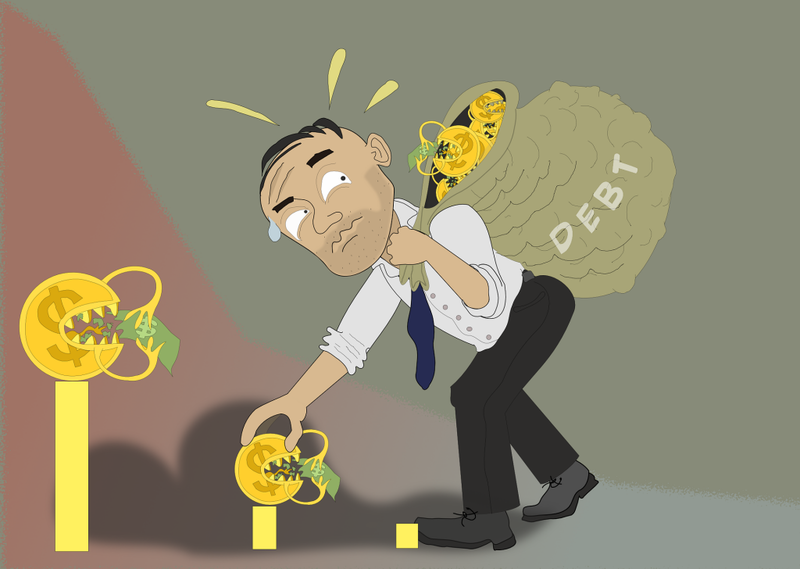 Your budget doesn’t have to be unreasonable, but when it comes to trying to pay off debt, you need to make sure that your budget is not only within your means but also has a little extra money that you can put towards your debt. No one likes to have to cut anything. But if you’re trying to pay off debt, you’re likely going to have to make some cuts. Your cuts don’t have to be drastic like only buying Kraft Dinner Mac & Cheese for dinner, or forgoing your once-a-month movie night if that’s the only thing you do to relax (your mental health is important! ), but it does mean making a few tough choices. Perhaps you have Hulu, Netflix and Amazon Prime — do you need all three? Maybe you can shave off $15 by cutting your two least-favorite services. Can you get an account at your local library and download audiobooks from there instead of keeping that Audible membership? Have you considered cutting your phone bill? Are you able to make dinner at home more often? Chances are there are a number of ways you can make cuts that won’t seriously impact your life in a negative way. If you have the opportunity, try adding some extra income each month to help pay off debt. Perhaps that means doing a bit of freelance writing or moonlighting on Upwork; maybe you want to drive Lyft or deliver food with Uber. If you can spare a few hours to make a few dollars, it can be a great way to make a little bit of money each week to help pay off debt faster. Even if you bring in an extra $250 per month (that’s $62.50 per week), you be able to pay off your debt that much faster! The point is, it’s going to take a while to pay off debt, so pay what you can, whenever you can. If you’re willing to put the work in and chip away, chances are, you’ll be okay. Do you have any tips to pay off debt? Share them in the comments below! Looking for More Money Articles?